Creating a functional and inviting outdoor space begins with a fashionable foundation. 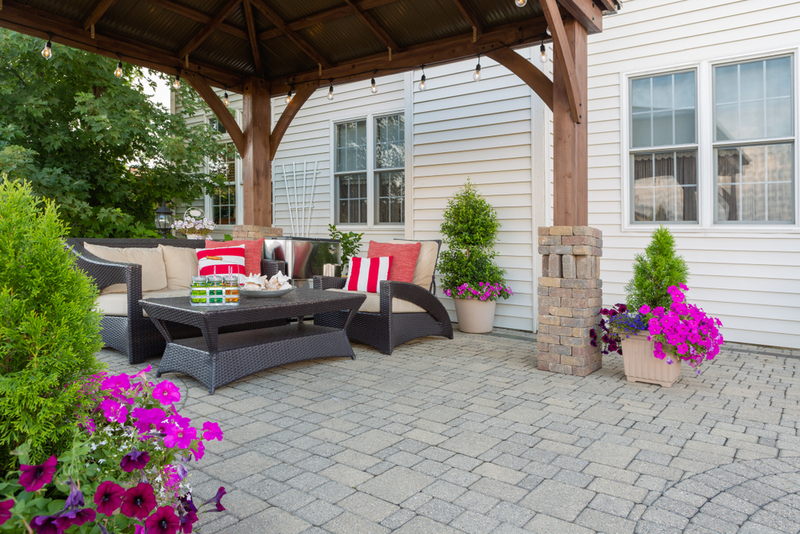 Patio pavers are a popular outdoor hardscaping material because they come in so many different materials and make it possible to achieve everything from traditional to modern spaces. Once the pavers are installed, whether or not to seal the pavers is an important decision. 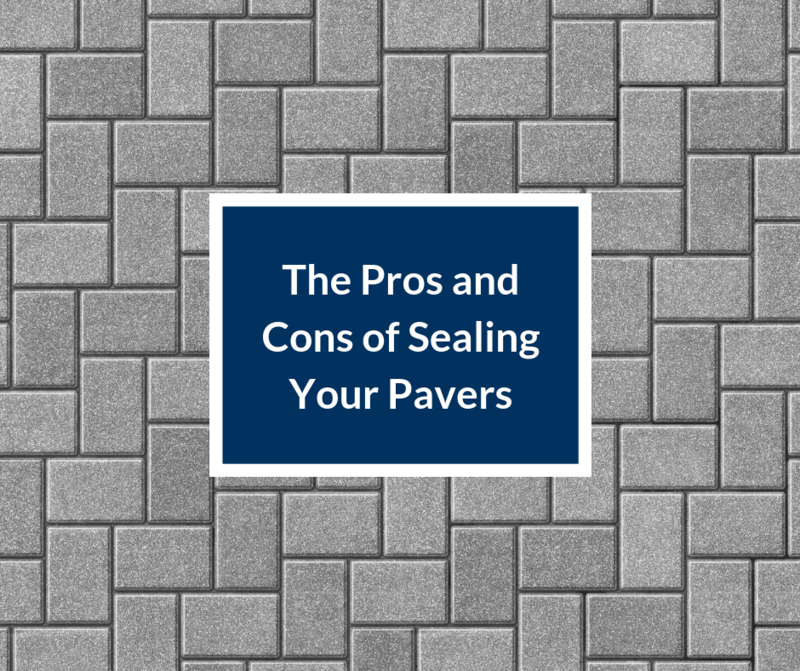 Evaluate both the pros and cons of sealing your pavers to determine whether or not it will benefit your space. Sealing pavers is an extremely popular final step in the installation process. Applying a sealer can help to protect porous materials against staining and prolong the life of the material. Before applying a layer of sealant to your deck, patio, driveway, or walkway, it is important to weigh the benefits and the drawbacks of applying this final protective layer. If you do decide to seal pavers, make sure to wait a few weeks before applying the sealer. This gives time for the pavers to settle into place. Pavers are chosen for their initial appearance. Applying a sealer when the pavers are initially installed doesn’t just preserve the beauty of the paver, it can also enhance the look by providing a glossy finish, depending on the type of sealer used. Sealer will not alter the color of the material, but it will help to highlight the hue of the material. The color you love will stay looking like new because sealers feature protection against UV rays that cause fading. Brick, natural stone, and concrete pavers are all susceptible to elements to some degree. Over time, they can fade, grow mildew, or become stained by rust, dirt, and other items that decorate the hardscaped area. The sealer can help to prevent stains and other signs of aging from occurring. When the pavers are exposed to dirt, grease, and grime, the sealer will help those substances wash away without leaving behind residual effects. Dirt and stains aren’t the only things that can affect the appearance of pavers over time; the weather can also cause damage to pavers. Without a sealer, moisture can enter the porous surface of the paver. If that water freezes in cold weather conditions, it can expand and crack the paver. Sealer works its way into the pores of the paver, preventing water from settling and causing damage. The durability of the pavers can vary greatly based on what material is chosen for the paver itself. When installed, every paver has an expected lifespan. Applying a sealer over the natural surface of the material can greatly extend the life of the material by making it more durable. 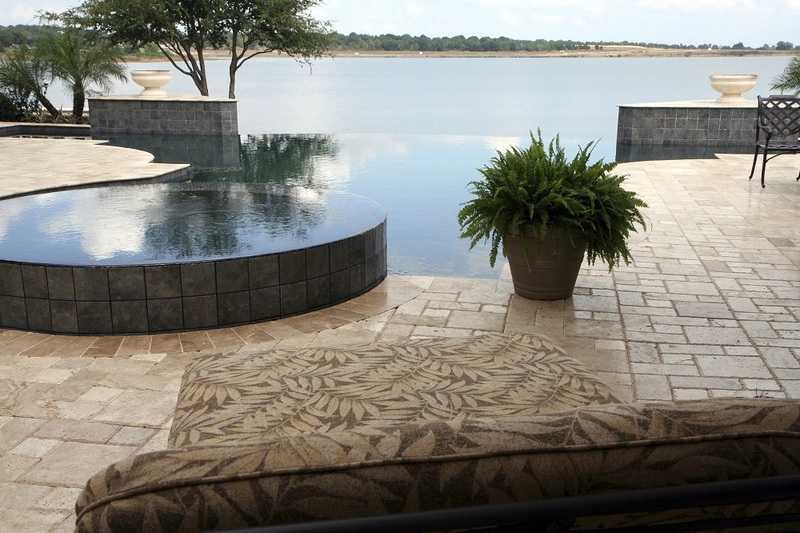 This is especially important in some of the softer paver materials, such as travertine. One of the main threats to a paved area is the growth of weeds. Because sealer is applied both over the surface of the paver and the cracks in between, it works to inhibit weed growth. While applying a sealer can instantly enhance the beauty of your pavers while protecting them against stains and the elements, there are a few drawbacks to take into consideration. Regular maintenance, possible contamination, and cost are all factors in choosing to seal pavers. Some sealants can also cause the pavers to be a little slick when wet. If you live in a particularly wet climate, that might be a consideration. Once sealed, pavers need to be resealed regularly. Some of the thinner sealants can develop a film over time as the product starts to break down. The material of the paver and the brand of the sealer are both factors in determining how frequently resealing should take place. A brittle and overly porous material such as travertine may need resealed multiple times a year while more durable materials, such as limestone, may only need resealed every year or two. Sealant overspray can be harmful to surrounding plants. Plastic sheeting can help protect nearby plants. To help reduce the chance of overspray, choose to apply the sealant on a clear day with minimal wind. It is also important to protect yourself from inhaling the fumes of the sealant during the application process. A mask, protective gloves and shoe covers should be worn throughout the process. Wear long sleeves and long pants to keep legs and arms protected. The sealant will not come out of clothing. Finally, make sure to apply sealant in a well-ventilated area. If the pavers are in a concealed space, make sure to take proper precautions to avoid breathing in the fumes. Choosing a quality sealant from the beginning is essential to the longevity of the pavers. Inexpensive sealants are thinner and tend to break down faster. Quality sealants are thicker and more durable. The initial outset of cost will reduce the frequency of reapplication. Once a surface is sealed, resealing on occasion is necessary, so factor in the occasional expense associated with the process. Installing pavers around your home can extend the living space and elevate the curb appeal of your home. It fills in the natural porous surface, preventing stains and providing an overall sheen to the pavers. A quality sealant can help to extend the life of the hardscaped area, prevent weeds, and make it easier to keep clean. Areas that experience daily use, such as a back deck or a driveway can really benefit from the added protection of the sealers. If a space is not used much and not as likely to get stained, you may want to skip the sealing process and showcase the raw beauty of the paver material. Rubber Patio Pavers: Why Do You Need Them?